Marketing/PR, Website Development, and Event Planning. In her off time, Jodi can be found at just about every sporting event her kids are involved in, working off her stress at the gym, camping with her family, watching the Badgers, and pretty much anything outdoors when Wisconsin weather cooperates! Kristen is skilled in marketing, customer service, and administrative duties. She is a graduate from the University of Tennessee where she studied Marketing along with Supply Chain Logistics. Kristen has experience with event planning and brand management. She has a passion for branding and is excited to help Impact in marketing and administrative efforts as the company continues to grow. In her free time, Kristen enjoys spending time in the sun, cheering on the Tennessee Volunteers football team, and exploring Madison. Jill holds a B.A. in Business Administration from North Central College in Naperville, Illinois and has over a decade of experience working as an administrative professional. She contributes to organizational success through advanced project management and technological skills delivered at executive levels. As the Transition Specialist, Jill ensures a smooth on-boarding experience for new Clients. Impact has dedicated a role with this sole purpose to provide the most support possible to our Clients and Team during the critical time of transition. Outside of work, Jill’s top priority is spending time with her husband and two sons, preferably somewhere outside. Biking, fishing, and grilling are her favorite ways to spend her time outdoors. Emily is qualified in project management, operations, and marketing with a focus on event and meeting planning. Extensive fundraising experience with several organizations both on the west coast and in Madison has laid a solid groundwork for volunteer, member and staff coordination with an emphasis on customer service. Emily is extremely devoted to sustain the organizational mission, values and branding of her clients through all marketing mediums and personal creative vision. In her free time Emily enjoys renovating houses with her husband, practicing yoga and visiting her family in Colorado. Ingrid brings years of nonprofit experience to Impact, including serving as a Business Manager and Deputy Director. In addition, she holds her Masters Degree in Public Service Management from DePaul University. After serving in leadership roles, Ingrid shifted her focus to assist organizations in their day-to-day operations. Ingrid provides executive administrative support and assistance to organizations, both for-profit and non-profit. Her experience includes, but is not limited to financial/book keeping, marketing, event planning, and general Board support. She also serves as a consultant providing Executive Director services such as fundraising planning, budget planning, and Board and volunteer engagement. In Ingrid's free time, she enjoys going to the gym and spending as much time as possible outdoors. You may catch her knitting, reading or writing as she waits for one child or another to finish their activity. Caroline brings years of experience to the Impact team within a variety of non-profit organizations. She understands the unique challenges as well as the rewarding experience gained of members, volunteers and leadership. Her strengths fall within membership communications, fundraising, event planning, CRM management, and financial management, as well as strengthening marketing and communications for the organizations. Caroline thrives when she has the opportunity to truly join leadership on strategic growth. Her passion is to contribute value and help to further their mission. In Caroline’s free time, she enjoys exploring the city with her daughter, Annabel. She also enjoys live music, poker, and trivia with her husband and friends. Chassidy brings over 20 years’ experience as an entrepreneur, executive, and small business owner. She has spent her career focusing on creating an environment of excellence for her companies and her clientele. 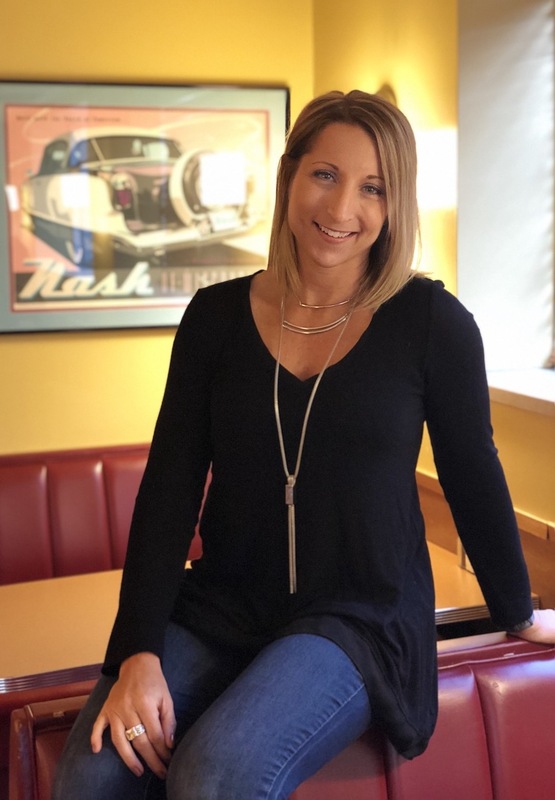 Chassidy brings a fresh approach, mixed with years of experience, in many areas of Association operations management, with a focus on leadership, event planning, marketing campaigns, applied communications, and strategic growth. Chassidy was recently honored to co-author the publication “Breaking the Glass Ceiling- Influential Women in Business”. In her spare time, Chassidy volunteers for multiple charities in the Madison community. She loves adventure and takes every opportunity she can to live life to its fullest. Chassidy is an advanced scuba diver, a pilot in training, and has been known to travel solo to faraway lands. Her top two “To Dos” are scuba diving in The Maldives and sky diving. and exhibit strategy, awards contests, sponsorships, volunteer/member engagement, bookkeeping, as well as process improvement/implementation. She has managed events ranging from a weekend Board of Directors Retreat to an Annual Conference and Trade Show with over 25,000 attendees. From planning to execution, Tammy’s primary focus is to understand the desires and expectations of her clients and find ways to elevate every experience. Outside of work, Tammy loves to spend time with her husband, daughter and granddaughter. They enjoy traveling the world and running races together as a family and are currently working on completing a half marathon in every state. Heather has over 14 years of experience in the bookkeeping and executive administration fields. Many of these years were spent supporting Boards of Directors for non-profits, CEO's, and Program Specialists and throughout Wisconsin. Heather has always had a love for numbers (she’s a QuickBooks guru!) so it was no surprise that she gravitated toward the financial field. That love, along with her dedication, attention to detail, and organization combined to make her a highly successful Administrator, allowing her and her clients to thrive in their industries. In her free time Heather enjoys knitting, reading and camping with her family. Ashley combines her acute attention to detail, strong organizational skills, and creative eye with her years of working with executives, corporations, non-profits, and event planners to to generate a successful environment with any group. From managing websites to conference coordination to communications to overall customer service, Ashley can take on any challenge thrown her way. Melissa has served on the Impact team since 2010 and has over 19 years experience in Administration Support. She attended UW-Madison, and holds a Bachelor of Science – Zoology degree. She began her career in the customer service industry, and has advanced her career path to include such positions as Contract Administration Specialist, Key Account Specialist, and Engineering Business Development Coordinator. Melissa also serves as the Secretary/Treasurer for the Park Ridge Condominium Association and is in her 10th term! In this role, she handles all of the budgetary information for twenty associated condo units. At Impact, Melissa is a Social Media Specialist and is responsible for posting to social media platforms on behalf of Impact's clients, as well as assisting with creative social media projects, as needed. In her free time, she loves spending time with family, friends, and her bulldogs (Capone and Gabby Sky Walker). She is an artist and the owner of I Art Your Pet. She enjoys working out, summertime activities, creating artwork, and traveling when her schedule allows. Melodee specializes in building and maintaining WordPress websites for entrepreneurs and small businesses, and Wild Apricot membership websites for associations, clubs and non-profits. She has many years of programming experience and enjoys providing personalized service. Melodee is a life-long learner, interested in a wide variety of subjects. Katelyn is a graphic designer and marketer. She has helped companies strengthen their brand awareness and marketing reach by creating consistent messaging and visuals through various channels including website, email, social media and print. Katelyn has a strong curiosity about how consumers make decisions and thrives when faced with the challenge of appealing to different audiences through design.